How do you tackle mental health in the curriculum and get it as right as possible? Try these tips! So often, this is missed in the rush to get something ‘taught’. Instead, spend some time asking pupils questions and looking at your data: what do these tell you? What are the issues that need addressing in your school? Teach to meet needs. And design your curriculum with a ‘little and often’ approach to drip-feed accurate messages. Tip 2: PSHE, and where else? It may not be as explicit, but case studies or literature examples bring mental health to the fore. This way, it becomes something that is talked about. PSHE is the bedrock of so many aspects of life: it cannot be taught effectively one day per term, nor does it work well with ill-prepared staff and an over-packed timetable. We all know this, but are we bold enough to apply it? Curriculum is crucial, and so is the teaching environment. A healthy school community is the ‘cradle’ for facilitating children’s (and adults’) mental health. This simple trio breaks it down. Curriculum: knowledge about and skills to improve mental ill-health need to be taught explicitly and facilitated implicitly. Extra-curricular: what opportunities outside the curriculum support what is taught in school? Are they mutually supportive? Pastoral: a school’s support system needs to be prepared for dealing appropriately with pupil needs. Once children feel more able to share their needs, they will. Use the language of mental health more frequently to break down stigma and educate everyone in understanding mental illness without fear. Ensure everyone understands that some well-known phrases or ways of describing people with mental illness are inappropriate or offensive, so agree as a school how to tackle this. Be aware that, while 1 in 4 people will be affected directly by mental illness at some point in their lives, not everyone will become very ill for a long time, so some context and pragmatism needs to be maintained. Put simply, what you teach early on needs to be returned to, each time adding more detail and complexity, so children can develop their understanding and apply it to their existing knowledge. Teaching in an age- and stage-appropriate way is vital here: mental illness can feel scary so it isn’t necessary to overload the curriculum just to tick boxes. Most fundamentally, teach/practise mindfulness as this underpins mental health. If you expect staff to deliver high-quality lessons on mental health, support them appropriately. Ask them what their needs are – and try to meet them. Ensure school staff have time to attend training and then put it into practice. Theoretical knowledge is useful, but practical application goes one step further. Consider a ‘train the trainer’ model if releasing staff is problematic; offer online training (perhaps try MindEd); see what expertise you have in-house. Remind staff that they don’t have to know everything about mental illness (they/the pupils can find out). They don’t have to be counsellors either – just being human and approachable works well. Mental ill-health does not have an end date, so any curriculum design needs to be long-term, continuous, cohesive and grounded in the school’s values. Tip 8: What can’t you see? For every pupil who expresses a need, there will be several who don’t. If a pupil doesn’t want you to know what’s going on, they can keep it quiet very expertly. Look out for signs of different behaviour, language, temperament; stay vigilant to changes and adapt what you teach (and when) accordingly. Any lesson on mental health will be useless if it isn’t grounded in pupils’ reality. This is why case studies are useful. Peer-to-peer education can work well if set up properly, but if pupils sniff any hint of lip-service being paid, they will switch off. Make sure the curriculum is authentic and based in current ‘data’ (numbers plus real-life experiences). Link it to what we know about children’s development and how the brain works. Beware some external contributors here: make sure you know before their visit what they will share. If it isn’t ‘on message’, ditch it. A great curriculum is a good start. But a great curriculum delivered in a school that enjoys healthy relationships across the board will work much better. Spend time and effort on nurturing healthy relationships and your well-considered curriculum will slot into place. 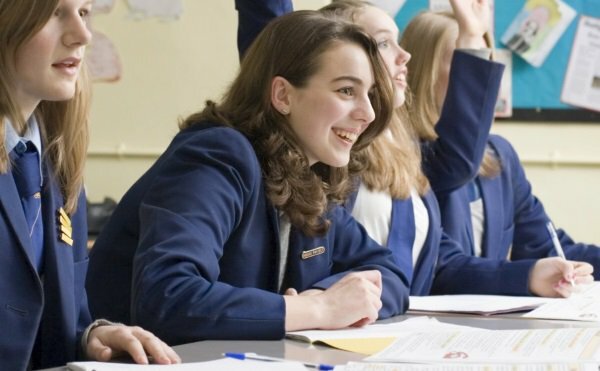 If you need an easy-to-use solution to curriculum design, try the Jigsaw PSHE programme. It provides a structured programme of personal development to nurture the ‘whole child’ and increase learning capacity, underpinned by mindfulness philosophy and practice, with a strong focus on mental health. 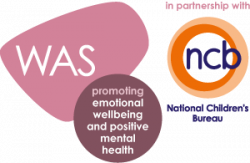 Developed in partnership with the National Children's Bureau (NCB), the Wellbeing Award for Schools (WAS) will allow you to ensure that effective provision is in place to promote the emotional wellbeing and mental health of both staff and pupils.